I consider myself pretty much a cat person. I do like dogs, but I think personality wise, I get along with cats better. So, I've really enjoyed reading some great books about cats, specifically big cats, over the last couple of weeks. The first three books are all based on the new Disneynature movie African Cats. I have not yet seen the movie, so my impressions are based solely on the books. Photographs by Keith Scholey, et.al. 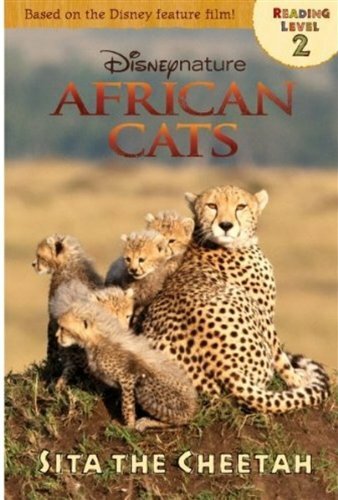 This book focuses on the experiences of a female cheetah and her cubs trying to survive on the African plains. Cheetahs while being the fastest land animal on the planet have a disadvantage when it comes to hunting. They simply are not strong enough to hold off other predators, like lions or hyenas, who wish to take their kill. In addition, a female cheetah must protect her cubs from not only other predators but other cheetahs (usually males) as well. Sita has proved to be a model mother, not only keeping her cubs fed, but protecting them from the dangers of life in the wild to the best of her ability. But neither Sita nor her cubs can avoid all the dangers that surround them. The photographs in this book are fabulous and the writing is solid and interesting. The book is a good choice for students just learning to read and interested in the natural world. A pride of lions depends on the efforts of all its members in order to survive. The male(s) provide protection while the females do the majority of the hunting as well as raise the cubs. In this pride, there is one male, Fang, and six females, along with several cubs. While lions are considered the apex predator on the African plains, they often struggle to survive, especially during the dry season. 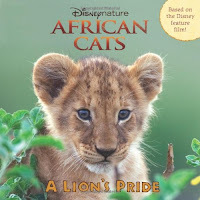 This book follows the pride as they move through their territory encountering other animals both prey and predator. Once again, clear writing meets up with clear, crisp photographs to provide a glimpse into the world of the lion. The list of lion facts at the end is a nice touch. 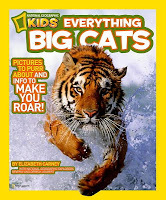 Recommended, especially for students who love reading about the natural world (which is a large number in my elementary school, the animal books are some of the most used books in the library). This book is fascinating account of the efforts of the film makers to find and keep track of a pride of lions and a cheetah family in the Masai Mara National Reserve in Kenya, Africa. 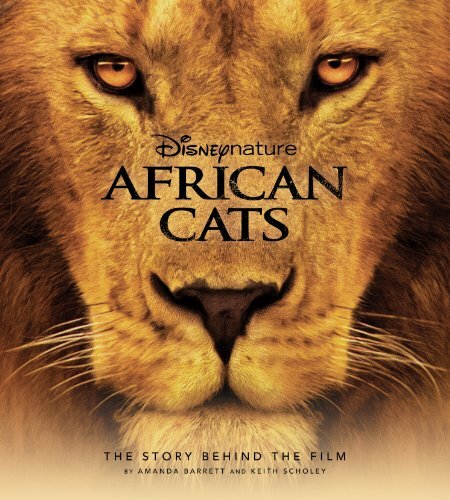 This book takes the reader into the lives of these wild cats and the ongoing struggle to survive. Within a few pages, the reader becomes attached to these magnificent animals, despite the often brutal nature of their existence. While I've rated this book for 5th grade and up, younger students could very easily enjoy the stunning photography. The writing, which is very good, quickly became secondary as I eagerly followed the experiences of both the animals and the film makers. This is film-making at its best. Highly recommended. I sometimes feel like I repeat myself when it comes to National Geographic produced material. They have long been known for their fantastic photographs. For these 'Everything' books, the design combines fascinating information with attractive design to make a book hard to put down. 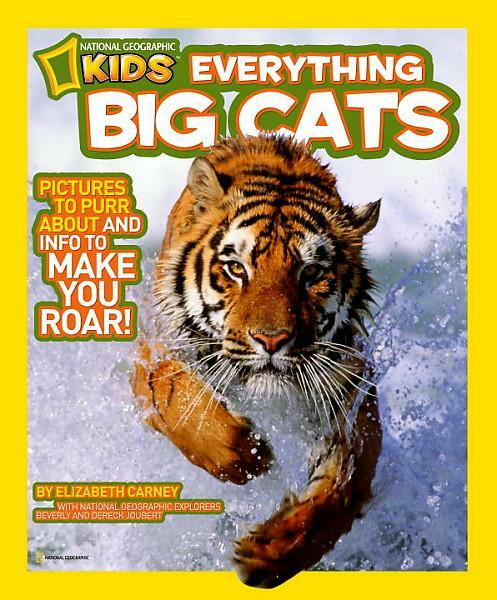 I've read a lot about big cats, but I learned quite a bit from this book. For example, big cats have 20 times more smelling power than humans, which is necessary for a hunter, but I'm not sure is always a great thing (there are lots of nasty smells in our world). The information on ligers (male lion and female tiger) and tigons (male tiger and female lion) is really interesting, including the health problems that develop from such pairings. Another part that I especially enjoyed were the photographs of big cats camouflaged in their natural environment. You could walk right by them and not see them if you weren't looking. I'll stop here, just know that this book provides hours of reading and sharing pleasure. I know this post is rather long, thanks for sticking with it or at least browsing. 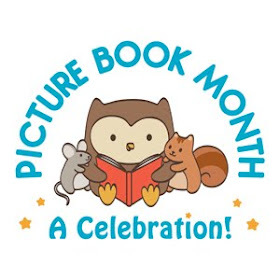 Nonfiction Monday provides lots of children's nonfiction for your reading pleasure. Head on over to Great Kid Books for this week's round-up.